Sorry, no matches have been found. M61 CongestionLocation : The M61 northbound between junction J9and the M6 . Reason : Congestion. Status : Currently Active. Return To Normal : Normal traffic conditions are expected between 13:45 and 14:00 on 20 April 2019. Delay : There are currently delays of 10 minutes against expected traffic. M60 CongestionLocation : The M60 anticlockwise entry slip at junction J21 . Reason : Congestion. Status : Currently Active. Return To Normal : Normal traffic conditions are expected between 13:30 and 13:45 on 20 April 2019. M58 CongestionLocation : The M58 westbound between junction J1and the A59 . Reason : Congestion. Status : Currently Active. Return To Normal : Normal traffic conditions are expected between 13:00 and 13:15 on 20 April 2019. Delay : There are currently delays of 10 minutes against expected traffic. M57 CongestionLocation : The junction of the M57 J7 and the M58. Reason : Congestion. Status : Currently Active. Return To Normal : Normal traffic conditions are expected between 13:45 and 14:00 on 20 April 2019. M56 CongestionLocation : The M56 westbound between junctions J11and J12 . Reason : Congestion. Status : Currently Active. Return To Normal : Normal traffic conditions are expected between 13:30 and 13:45 on 20 April 2019. Delay : There are currently delays of 10 minutes against expected traffic. M55 CongestionLocation : The M55 westbound at junction J4 . Reason : Congestion. Status : Currently Active. Return To Normal : Normal traffic conditions are expected between 13:45 and 14:00 on 20 April 2019. Delay : There are currently delays of 10 minutes against expected traffic. M5 CongestionLocation : The junction of the M5 J22 and the A38. Reason : Congestion. Status : Currently Active. Return To Normal : Normal traffic conditions are expected between 13:00 and 13:15 on 20 April 2019. M40 CongestionLocation : The M40 northbound between junctions J3and J4 . Reason : Congestion. Status : Currently Active. Return To Normal : Normal traffic conditions are expected between 12:45 and 13:00 on 20 April 2019. Delay : There are currently delays of 10 minutes against expected traffic. M3 CongestionLocation : The M3 westbound at junction J9 . Reason : Congestion. Status : Currently Active. Return To Normal : Normal traffic conditions are expected between 12:45 and 13:00 on 20 April 2019. Delay : There are currently delays of 10 minutes against expected traffic. M27 CongestionLocation : The M27 westbound between junctions J2and J1 . Reason : Congestion. Status : Currently Active. Return To Normal : Normal traffic conditions are expected between 17:15 and 17:30 on 20 April 2019. Delay : There are currently delays of 10 minutes against expected traffic. M25 CongestionLocation : The M25 clockwise exit slip at junction J3 . Reason : Congestion. Status : Currently Active. Return To Normal : Normal traffic conditions are expected between 13:15 and 13:30 on 20 April 2019. Delay : There are currently delays of 10 minutes against expected traffic. M2 CongestionLocation : The M2 eastbound between junctions J3and J5 . Reason : Congestion. Status : Currently Active. Return To Normal : Normal traffic conditions are expected between 14:15 and 14:30 on 20 April 2019. Delay : There are currently delays of 15 minutes against expected traffic. A69 CongestionLocation : The A69 eastbound between the junctions with the A6085and the A1 . Reason : Congestion. Status : Currently Active. Return To Normal : Normal traffic conditions are expected between 13:45 and 14:00 on 20 April 2019. Delay : There are currently delays of 10 minutes against expected traffic. A663 CongestionLocation : The A663 southbound at the junction with the M60 . Reason : Congestion. Status : Currently Active. Return To Normal : Normal traffic conditions are expected between 13:45 and 14:00 on 20 April 2019. A64 CongestionLocation : The A64 eastbound between the junctions with the A166and the A1237 York North. Reason : Congestion. Status : Currently Active. Return To Normal : Normal traffic conditions are expected between 12:45 and 13:00 on 20 April 2019. Delay : There are currently delays of 10 minutes against expected traffic. A590 CongestionLocation : The A590 westbound exit slip to the A591 . Reason : Congestion. Status : Currently Active. Return To Normal : Normal traffic conditions are expected between 13:15 and 13:30 on 20 April 2019. Delay : There are currently delays of 10 minutes against expected traffic. A500 CongestionLocation : The A500 northbound at the junction with the A53 . Reason : Congestion. Status : Currently Active. Return To Normal : Normal traffic conditions are expected between 13:45 and 14:00 on 20 April 2019. Delay : There are currently delays of 10 minutes against expected traffic. A5 CongestionLocation : The A5 northbound at the junction with the A49 South of Shrewsbury. Reason : Congestion. Status : Currently Active. Return To Normal : Normal traffic conditions are expected between 13:30 and 13:45 on 20 April 2019. Delay : There are currently delays of 10 minutes against expected traffic. A49 CongestionLocation : The A49 northbound between the junctions with the A466and the A465 . Reason : Congestion. Status : Currently Active. Return To Normal : Normal traffic conditions are expected between 13:00 and 13:15 on 20 April 2019. Delay : There are currently delays of 10 minutes against expected traffic. A47 CongestionLocation : The A47 eastbound between the junctions with the A1270and the A1064 . Reason : Congestion. Status : Currently Active. Return To Normal : Normal traffic conditions are expected between 13:30 and 13:45 on 20 April 2019. Delay : There are currently delays of 10 minutes against expected traffic. A46 CongestionLocation : The A46 northbound between the junctions with the A1434and the A57 . Reason : Congestion. Status : Currently Active. Return To Normal : Normal traffic conditions are expected between 13:15 and 13:30 on 20 April 2019. A38 CongestionLocation : The A38 westbound between the A388and the junction with the A374 west of Plymouth. Reason : Congestion. Status : Currently Active. Return To Normal : Normal traffic conditions are expected between 13:00 and 13:15 on 20 April 2019. Delay : There are currently delays of 10 minutes against expected traffic. A36 CongestionLocation : The A36 southbound between the junctions with the A30 East and the A338 . Reason : Congestion. Status : Currently Active. Return To Normal : Normal traffic conditions are expected between 13:45 and 14:00 on 20 April 2019. Delay : There are currently delays of 10 minutes against expected traffic. A35 CongestionLocation : The A35 westbound between the junctions with the A37and the A3066 . Reason : Congestion. Status : Currently Active. Return To Normal : Normal traffic conditions are expected between 13:00 and 13:15 on 20 April 2019. Delay : There are currently delays of 10 minutes against expected traffic. A303 CongestionLocation : The A303 westbound between the junctions with the A345and the A360 . Reason : Congestion. Status : Currently Active. Return To Normal : Normal traffic conditions are expected between 13:15 and 13:30 on 20 April 2019. Delay : There are currently delays of 10 minutes against expected traffic. A3 CongestionLocation : The A3 southbound between the junctions with the A3100and the A320 . Reason : Congestion. Status : Currently Active. Return To Normal : Normal traffic conditions are expected between 13:00 and 13:15 on 20 April 2019. Delay : There are currently delays of 10 minutes against expected traffic. A282 CongestionLocation : The A282 anticlockwise entry slip from the A206 . Reason : Congestion. Status : Currently Active. Return To Normal : Normal traffic conditions are expected between 13:45 and 14:00 on 20 April 2019. A27 CongestionLocation : The A27 eastbound between the junctions with the A277and the A26 North. Reason : Congestion. Status : Currently Active. Return To Normal : Normal traffic conditions are expected between 13:15 and 13:30 on 20 April 2019. Delay : There are currently delays of 10 minutes against expected traffic. A259 CongestionLocation : The A259 westbound between the A2070and the junction with the A2101 . Reason : Congestion. Status : Currently Active. Return To Normal : Normal traffic conditions are expected between 14:15 and 14:30 on 20 April 2019. Delay : There are currently delays of 10 minutes against expected traffic. A249 CongestionLocation : The A249 southbound between the junctions with the A250 Queenborough and the A2 . Reason : Congestion. Status : Currently Active. Return To Normal : Normal traffic conditions are expected between 13:30 and 13:45 on 20 April 2019. Delay : There are currently delays of 15 minutes against expected traffic. A21 CongestionLocation : The A21 southbound between the A228and the junction with the A262 . Reason : Congestion. Status : Currently Active. Return To Normal : Normal traffic conditions are expected between 13:45 and 14:00 on 20 April 2019. Delay : There are currently delays of 10 minutes against expected traffic. A12 CongestionLocation : The A12 southbound between the junctions with the A14and the A120 Colchester East. Reason : Congestion. Status : Currently Active. Return To Normal : Normal traffic conditions are expected between 13:00 and 13:15 on 20 April 2019. Delay : There are currently delays of 10 minutes against expected traffic. A1 CongestionLocation : The A1 northbound between the junctions with the A697and the A1068 . Reason : Congestion. Status : Currently Active. Return To Normal : Normal traffic conditions are expected between 13:30 and 13:45 on 20 April 2019. Delay : There are currently delays of 15 minutes against expected traffic. M8 M8 J19 Clydeside Expressway - Queue3 lanes restricted Eastbound indefinitely A82 A82 Ardlui - Tarbet - AccidentAll lanes restricted in both directions due to a road traffic incident near to the Loch Lomond Holiday Park south of Inveruglas.Drivers are advised to approach with caution and allow for longer than normal journey times. M62 AccidentLocation : The M62 westbound exit slip at junction J6 to roundabout. Lane Closures : Lane one is closed. Reason : Road traffic collision. Status : Currently Active. Time To Clear : The event is expected to clear between 14:45 and 15:00 on 20 April 2019. Return To Normal : Normal traffic conditions are expected between 14:45 and 15:00 on 20 April 2019. Lanes Closed : There is one of two lanes closed. M6 Road WorksLocation : The M6 southbound between junctions J33and J32 . Lane Closures : The hard shoulder is closed. Reason : Emergency bridge repairs. Status : Currently Active. Period : expect disruption until 00:00 on 30 September 2019. M4 AccidentLocation : The M4 westbound at junction J5 . Lane Closures : Lane three is closed. Reason : Road traffic collision. Status : Currently Active. Time To Clear : The event is expected to clear between 14:00 and 14:15 on 20 April 2019. Return To Normal : Normal traffic conditions are expected between 14:00 and 14:15 on 20 April 2019. Lanes Closed : There is one of three lanes closed. M23 AccidentLocation : The M23 southbound between junctions J8and J9 . Lane Closures : Lane two is closed. Reason : Road traffic collision. Status : Currently Active. Time To Clear : The event is expected to clear between 14:15 and 14:30 on 20 April 2019. Return To Normal : Normal traffic conditions are expected between 14:15 and 14:30 on 20 April 2019. Lanes Closed : There is one of three lanes closed. M20 RoadOrCarriagewayOrLaneManagementLocation : The M20 westbound between junctions J9and J8 . Lane Closures : Lanes 2 and 3 are closed. Reason : Contraflow. Status : Currently Active. Period : expect disruption until 06:00 on 30 September 2019. Lanes Closed : There are two of four lanes closed. M1 AccidentLocation : The M1 northbound between junctions J10and J11 . Reason : Road traffic collision. Status : Cleared. 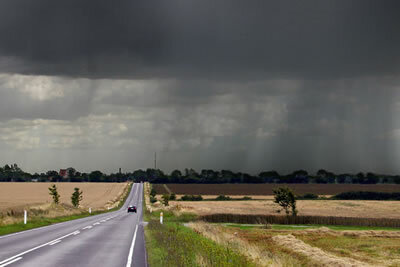 Local and Regional Weather ForecasesGet the latest weather forecasts for your local area or region, showing the location of rain, snow or inclement weather that may affect your journey. Maximum Life from your BatteryOne of the most frustrating aspects of running a car is when your battery dies. Avoid problems from flat batteries by following four simple tips. What to do after an accidentYou've just had a minor accident in your vehicle. What should you do? 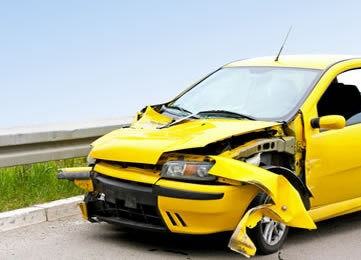 Here is our advice and a few basic tips on what to do after an accident. 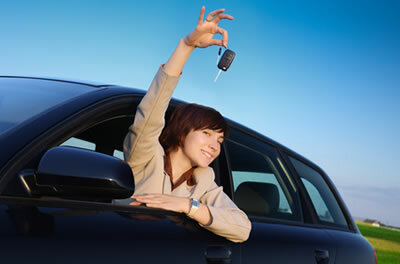 Tips for a successful test driveTest drives. They're exciting but nerve-wracking. Here's a list of 18 things you'll need to check to bag yourself a bargain, not a banger. 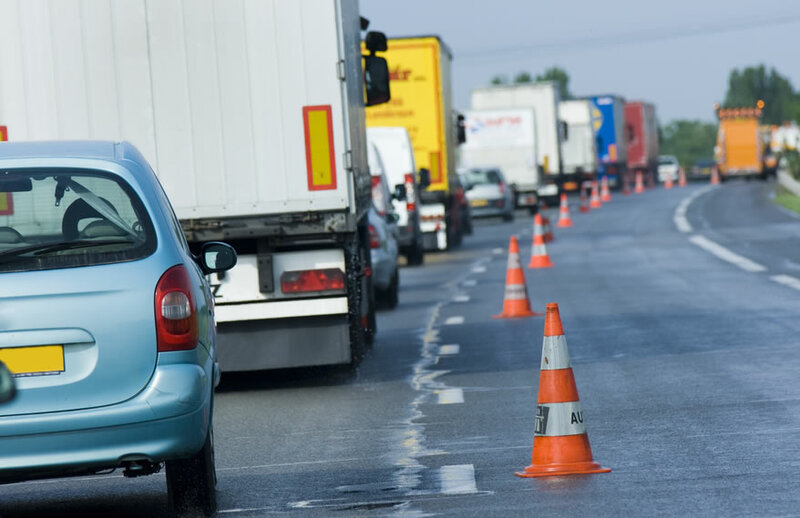 Traffic warning for the Christmas getaway21 Dec | Motorists have been warned to expect significant delays on major routes as workers make their way home for the Great British Getaway, as almost three million vehicles take to the roads. ORR Chair announced: Declan Collier21 Aug | Declan Collier announced as the preferred candidate for the role of Office of Rail and Road Chair. Thousands to benefit from new Congleton bypass20 Aug | Department for Transport to provide £45 million for a project to build a new 3.5-kilometre bypass in Congleton. Sussex economy boosted by multimillion pound road improvements20 Aug | Newhaven Port access road scheme will move HGVs away from unsuitable local roads and help create jobs. Near miss with a road vehicle at Plainmoor User Worked Crossing26 Jul | Near miss with a road vehicle at Plainmoor User Worked Crossing, North Yorkshire, 7 July 2018. 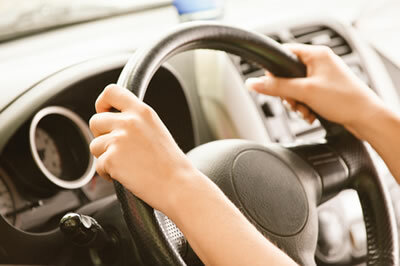 Get live email alerts whenever there is an incident on the roads you travel.